Lakelands is nothing less than the celebrated revitalization of the American Town. Located in Gaithersburg, Maryland, spanning 340 acres, this traditional neighborhood follows the comprehensive design principles of small towns built in the early 1900&apos;s where narrow streets slow traffic and front porches and pedestrian friendly sidewalks slow the pace of life, creating a serene, peaceful sense of township. 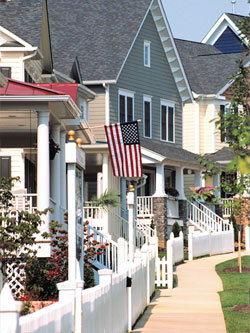 Architectural guidelines mandate quality and traditional design standards, assuring remarkable neighborhood character. Single family homes, townhomes and condominiums come in a variety of styles ranging from cozy cottage homes, to brick row houses, to stately homes and more. Recreation is close at hand with a community clubhouse and pool, village greens, ball courts, trail system with 100 acres of green space and three lakes. 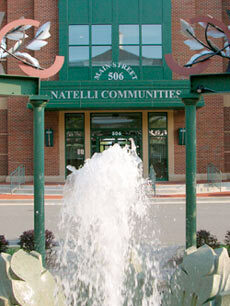 Market Square is within walking distance offering eateries, shops, a health club, cinema, grocery store and more.